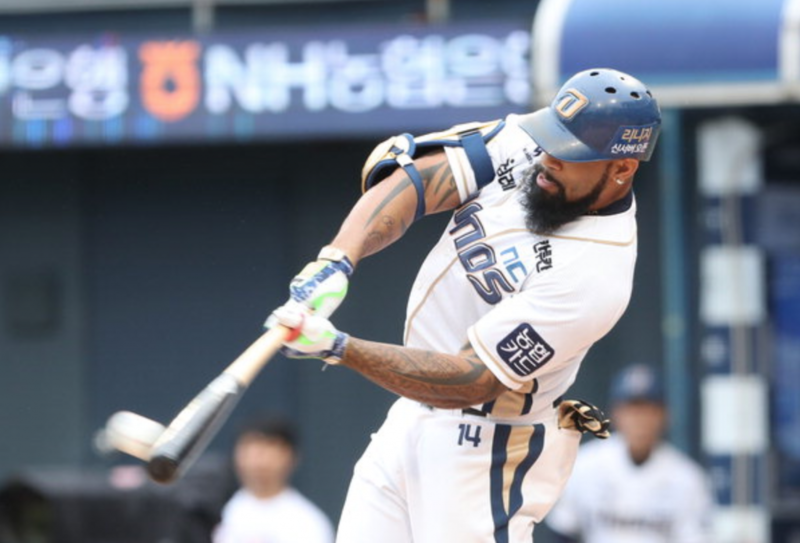 SEOUL, April 28 (Korea Bizwire) – Eric Thames’ triumphant return to MLB has shed new light on the KBO (Korea Baseball Organization) League and players from overseas. 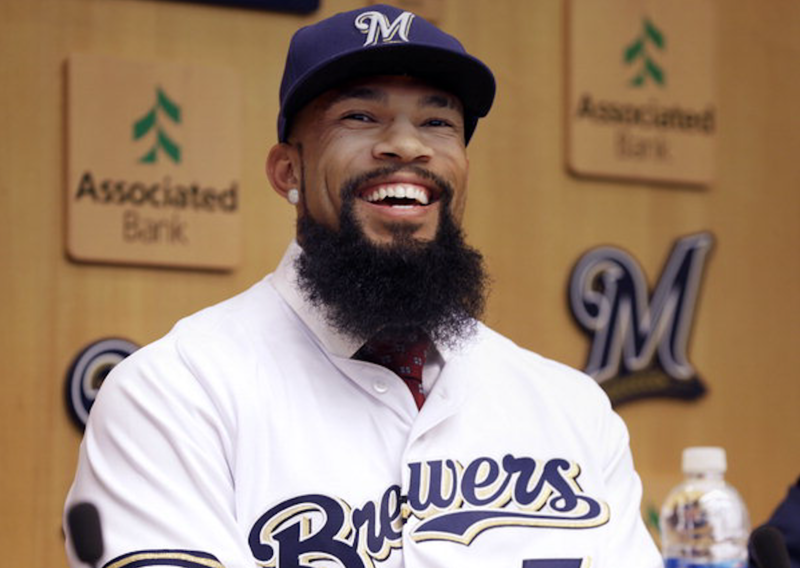 Now a first baseman for the Milwaukee Brewers, Thames has batted 11 home runs with a .370 BA, .904 SLG, and an OPS of 1.393 in the Major Leagues so far this year, stunning local media and sports fans. Thames debuted in 2011 for Toronto Blue Jays, and was later traded to the Mariners, Orioles and Astros, with few significant or memorable performances. In 2014, he was scouted by South Korean team NC Dinos to play in the KBO League. Over the next three years with the Dinos, he recorded 102 home runs and 382 RBI, with a batting average of .349. He was even given the nickname of “God” by local fans for his unequalled power. The KBO League first introduced international players in 1998, when 12 athletes from abroad played in the league, including four with Major League experience. There was also a salary cap for foreign players of $120,000, which was higher than what was claimed by Samsung Lions’ outfielder Yang Joon-hyuk – the most expensive player at the time – but foreign players had better international alternatives to choose from, namely Japan’s Nippon Professional Baseball league. Things improved starting in 2000, with the KBO League giving its teams more freedom to scout foreign players. A total of 28 foreigners played in the 2000 season, 14 with an MLB background. The Samsung Lions, for instance, managed to recruit Julio Franco, who currently serves as a hitting coach for Lotte Giants. Over the past decade, competition has heightened amongst Korean baseball teams to scout overseas mercenaries, and an increasing number of foreign players have started considering South Korea as a stepping stone to the majors, and at a younger age. The salary cap was ultimately abolished in 2014, and million-dollar contracts became common for international athletes. Dustin Nippert, a former Rangers pitcher who has been playing for the Doosan Bears since 2011, signed a $2.1 million deal for the 2017 season, setting a new record for an overseas player in the KBO League. With more South Korean players making the move to MLB, the local league will only gain momentum in the international market, fans and critics hope.